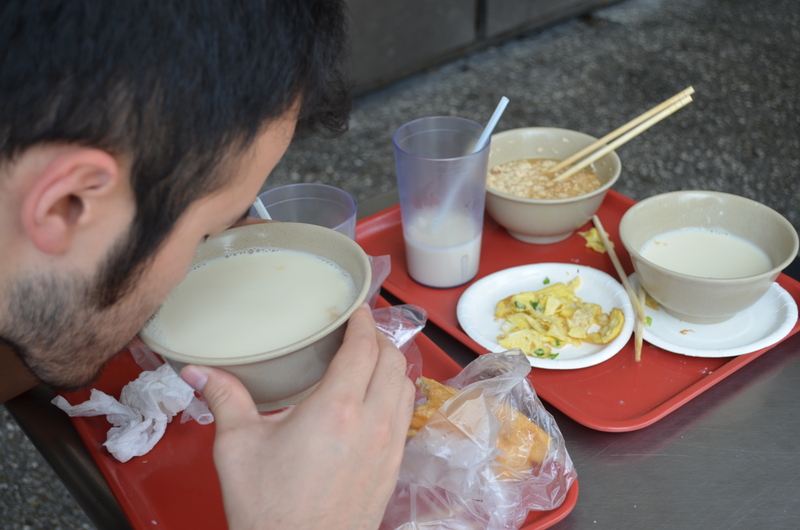 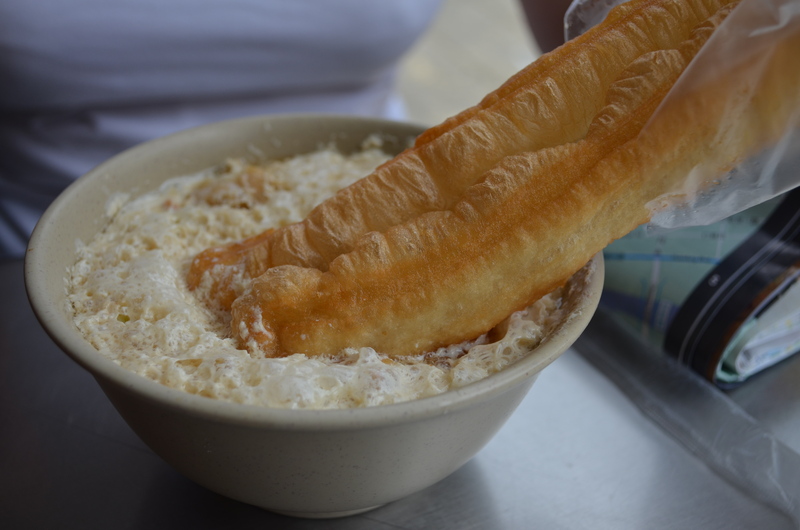 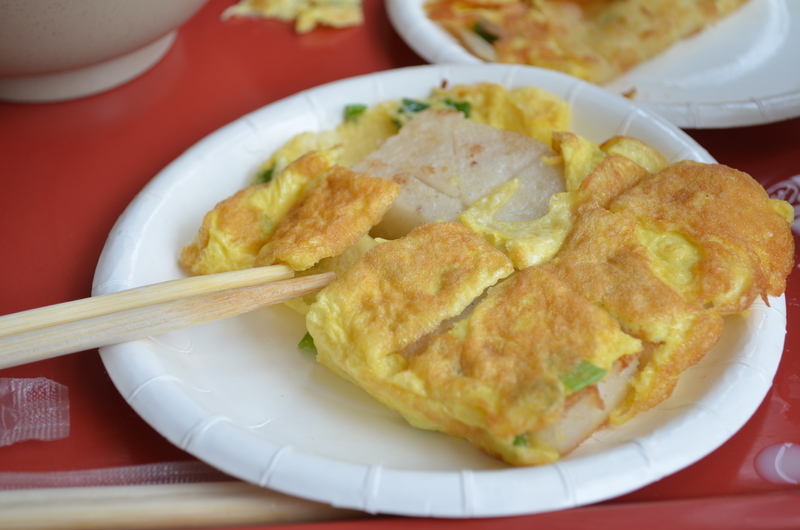 Breakfast is a big thing in Taiwan, and Yonghe Dou Jiang Wang (永和豆浆王) specifically is one of Taipei’s much-lauded breakfast joints, serving up a number of savory snacks and versions of soy milk. 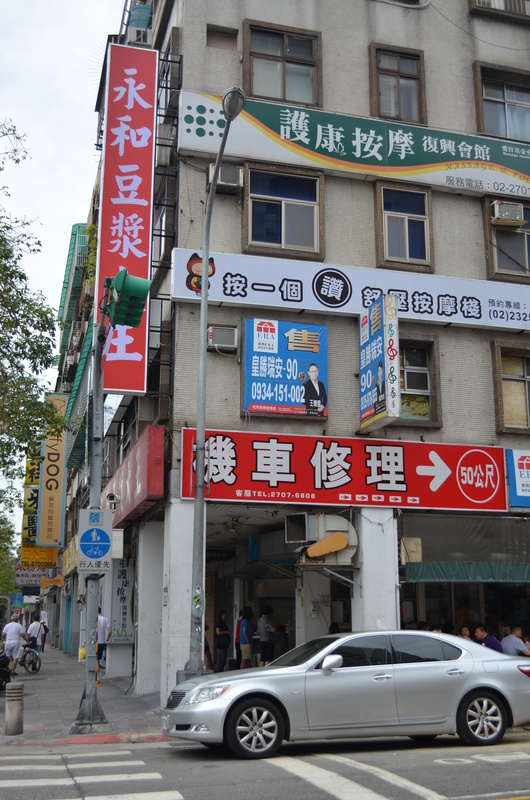 I visited the location just south of the Da’an metro station, on the first floor of a nondescript building, where two small lines had formed for Yonghe’s eat-in and take-out counters. 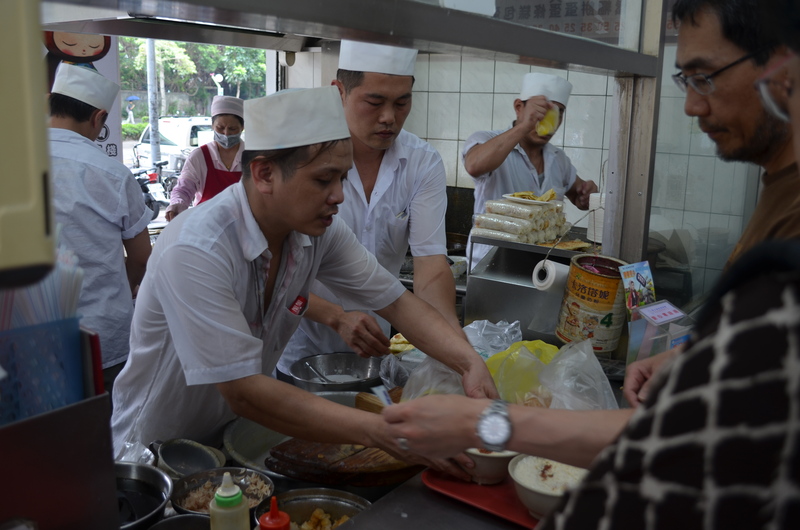 We went to the sit-down counter, where orders came together with the urgent shout-outs and efficient flurry of hands and feet whirling about in tight quarters. 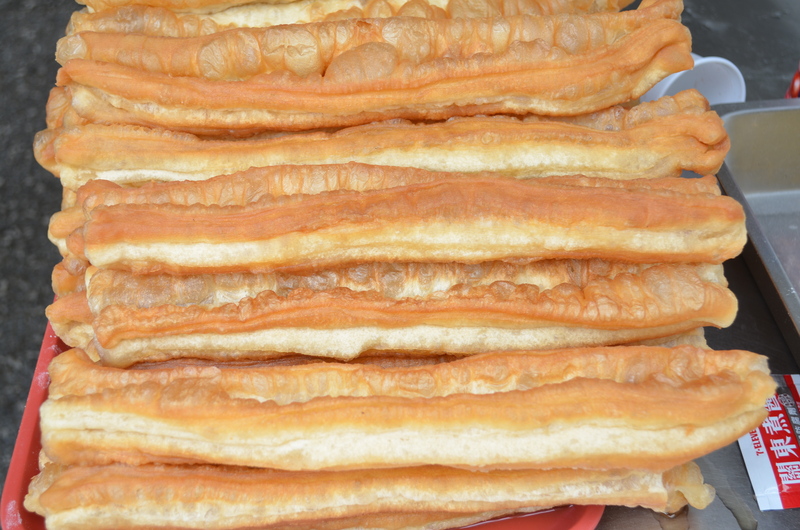 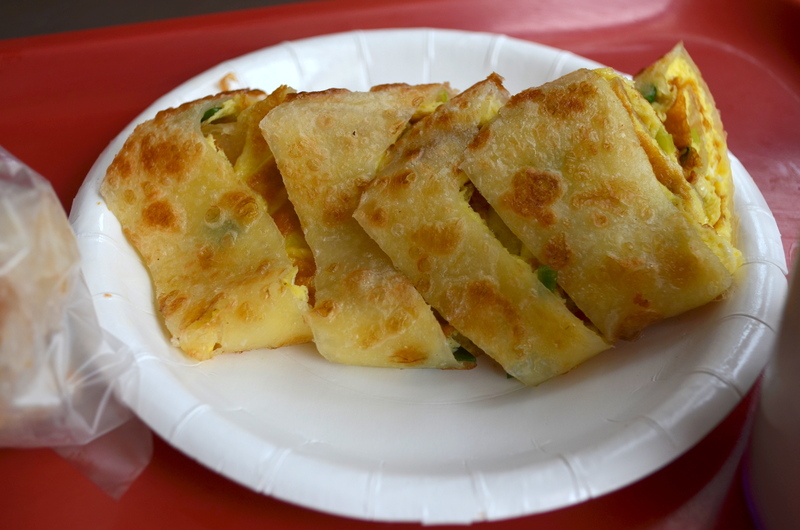 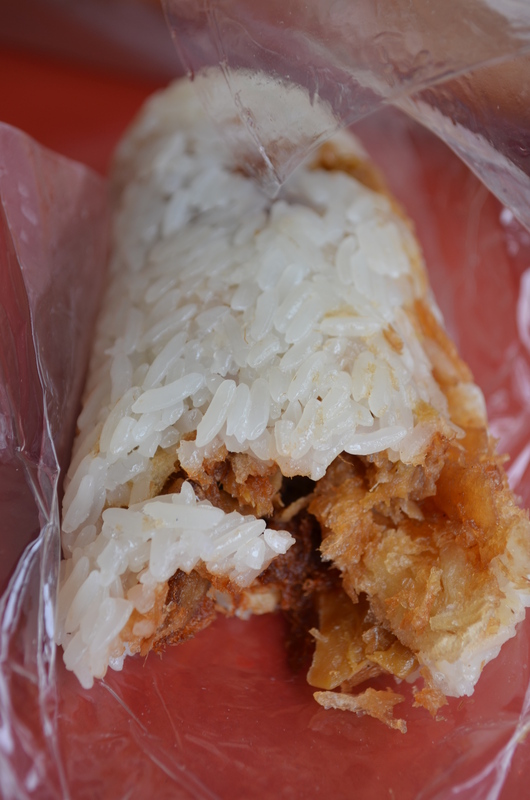 Even though Yonghe traffics largely in a simple handful of items, each of those can be customized with egg or pork floss, or wrapped in a bun, so the actual menu is a somewhat lengthy affair filled with iterative dishes. 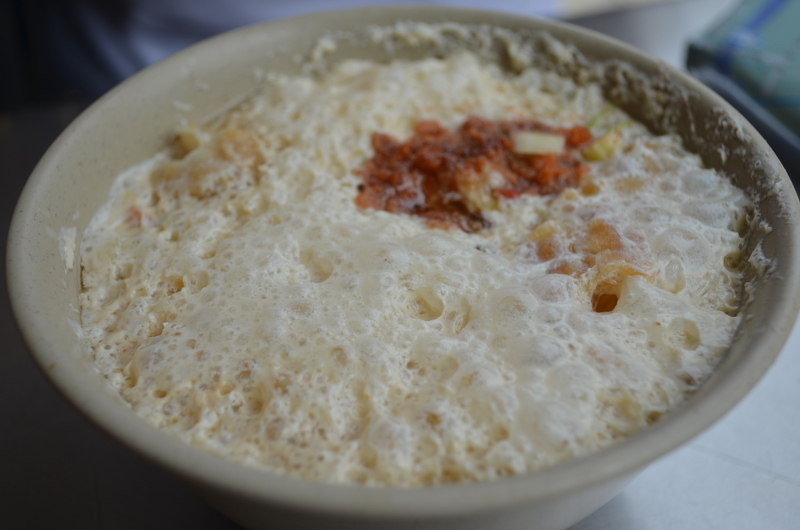 Not a bad thing, but a bit overwhelming for a newbie.